Heli around the Alps, brülée with the chef, dance until sunrise. When not enjoying some of the best off-piste skiing in the world, Paula de la Cruz finds plenty to do in the Valais ski village. VERBIER, Switzerland – Verbier, a ski village in the Valais canton of Switzerland, is the preferred spot for European rich and social to pursue the winter sport. But this centuries-old village does not bend to the entitled; it welcomes them as long as its codes are strictly observed. Respect Verbier, accept its ways, or be damned. Be low-key, greet all locals with a moderately friendly bonjour, and don't be a show off on the slopes. Despite all its relatively new wealth (thanks, British tour companies), Verbier's culture is the great equalizer. Its unostentatious style attracts an array of skiers, from royals and shiekhs to Olympians and freestylers. All this, and some of the best off-piste skiing in the world. This was my first time skiing in Verbier, and my second time skiing in Europe. I am a very sporadic skier, with emphasis on VERY. Growing up, I used to ski on weekends in Mendoza, Argentina, but once I moved to New York in my twenties I stopped completely. Which is why in Verbier, I started on a very clearly marked trail. I was a bit rusty the first day, so my instructor, Martin Lewis from , decided I should start on the easy slopes of Savoleyres, an extensive network of blue and red slopes north of Verbier. "Make it elegant," he kept saying, "wider turns." As I carved, or tried to carve swooshes that felt less like they were cut with scissors and more like the waves of silk, the sensation of gliding kicked in. I imagined taking off and flying — over the valley, the wooden cottages on the hillside, and the glaciers in the distance. 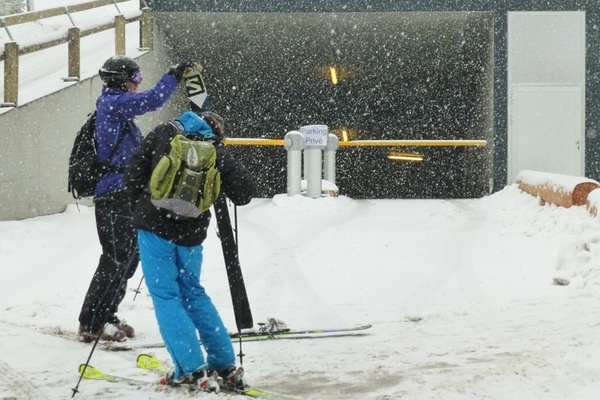 I stopped to take photos at every chance, much to the chagrin of other skiers. When you ski in the Rockies, the mountain is behind you and the valley is below. 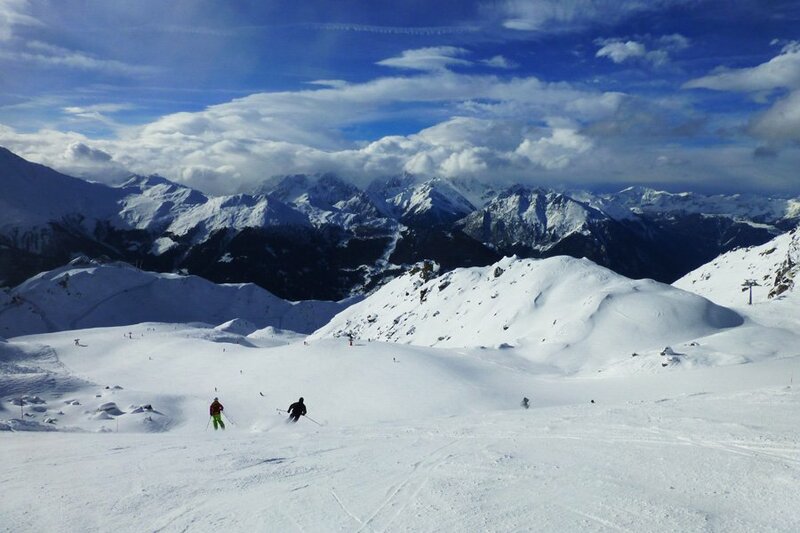 In Verbier, mountains and valleys are all around you when you ski, forming a gothic cathedral-like bowl. The morning passed quickly. I got the wipeout of my trip out of the way, and it was already midday. Paula and James take flight. 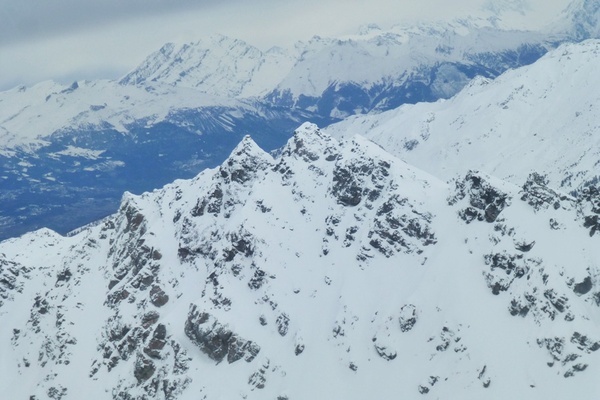 The Alps, as seen from the helicopter. 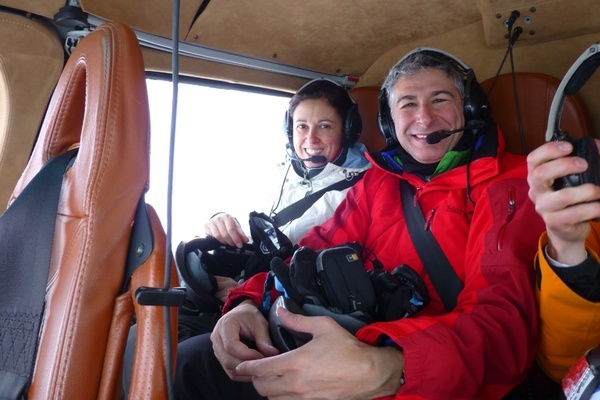 My husband James (another Popupla correspondent) and some friends joined us at Le Chable heli-pad for a tour of the valley and snowed-in peaks, all the way to the Matterhorn and Mont Blanc. That the Rhône starts here is a great source of Swiss-French pride. We finished our thrilling ride with a short hike to restaurant at La Chaux peak, where many skiers flock for lunch. James ordered a "light" (ahem) snack: escargots in butter sauce with white beer. After lunch, we skied back to town, where Martin and I warmed up with vin chaud at the bar. Cooking with chef Sergi Arola. In this quaint village, where wood barns that have been pissed on by more than ten generations of cows are considered such precious real estate that their logs and beams are landmarked, is a young behemoth shaking and stirring things up. The resort, which opened in December, has kept the fondue and wood facades, but added lots of red lacquer, the refreshing tapas cuisine of Catalan chef Sergi Arola, and a new night club, , to get down to '90s hits. Yeah, Euros love '90s music. Get over it. One day Sergi invited me to cook with him at , his casual restaurant with an 80-feet-long marble bar overlooking an open kitchen. We started with a Before It Gets Serious martini shaken with tabasco and a hot pepper garnish. As we set foie gras over a puff pastry, he instructed me to add sugar and balsamic vinegar and to flambé it with a torch. "More sugar! More fire!" he exclaimed. "I have to have fun cooking. There is always time to become a boring chef!" 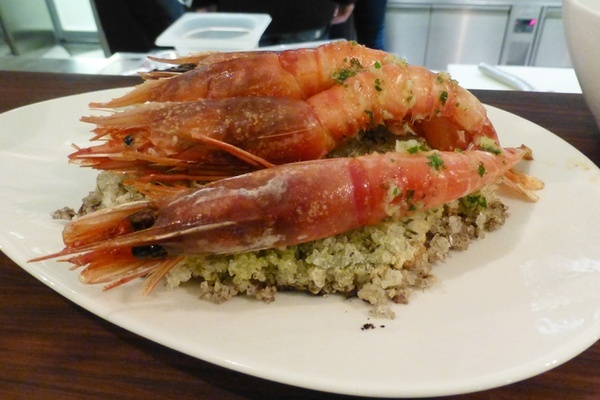 A friend inquired about his signature lobster rice and he immediately replied, "Let's make it together!" As we sautéed onions and toasted paprika — a key step — we kept our stomachs entertained with ceviche and avocado cream, patatas bravas, and prawns on a salt crust. After cooking what seemed like the entire menu, we burned calories nightclub-hopping. We started at , the most exclusive of Verbier's dance venues, which attracts an older crowd. The place was full of Russians waiting to get in and girls wearing skimpy dresses with tiaras, though for the most part people were in jeans. I asked a local why the town was so popular among Russians. "This is something Americans don't understand," he explained. "The standard oligarch keeps his family in Gstaad and his girlfriend in Verbier, visiting her on the weekend. This club is only opened on weekends." 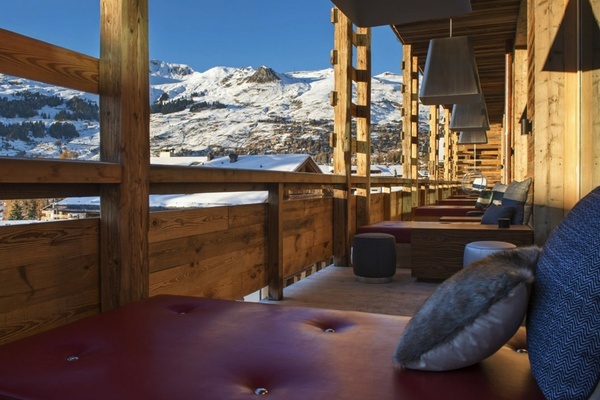 After several gin and tonics and too many renditions of Everything But The Girl's Missing, it was time to hit , the classic lounge where locals and young skiers come to find quick love on wide leather sofas or just conversation and a drink by the roaring fire. 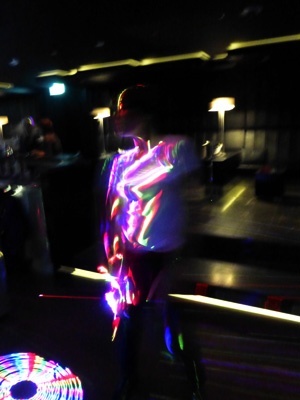 We finished the night at Carve with a champagne-induced dance to the rhythms of a light show. At least my bed was an elevator away. The following day, there was no better place to nurse my hangover than on the slopes, my drunken stupor encouraging a more relaxed, stylish skiing. Taking advantage of the sun, I met Martin bright and early at Fontanet peak, where so many chair lifts converge that the British call it "the M25," after the busy motorway that surrounds London. We spent the day practicing skills and technique. I channeled Lindsey Vonn down the more challenging slopes and even dared (a bit of) a black one. But then I remembered that Lindsey was injured and that I was not nearly as good as she was when she was ten years old. I pushed negative thoughts out of my mind and felt the edges of my skis hit the different snow textures, avoiding the soupy patches. It hadn't snowed in a while, and the ice from the cloudy day before had turned to mush in the sun. Martin complimented me with lots of "very goods" and a "well done!" I complimented him on his patience. On the many chairlift rides we talked about his life in Verbier. He moved from England a few years ago, and spends summers renovating barns into stunning lodges and guest houses. 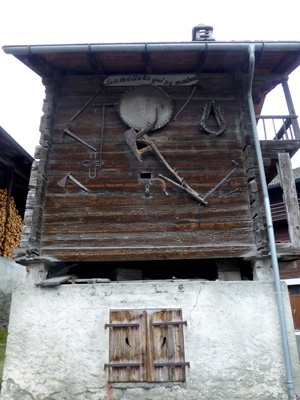 Construction work yields an insight into the most conservative aspect of Verbier society. Last year, while painting the facade of , an antique stone building turned into a cafe and apartments at Le Chable, a village below Verbier, Martin and his team painted many swatches on the exterior wall. A doubtful local, a member of the town council, inquired about their choices, and the color he politely suggested stuck, along with his roofing recommendations. Despite the inflated prices, Martin hopes to buy and renovate his own barn this year. But overall, the village way of life offers him and his fiancée the possibility for growth. He admires the quality of Swiss life and the pride locals have in their traditions and culture. He may be a ski instructor, but he speaks about hiking in the summer with the same enthusiasm he uses for skiing. When he is not teaching, he wanders onto off-piste trails in Verbier and the neighboring valleys. The fairytale entrance to La Marlenaz. On my final descent, the peaks all around me glisten. I have never skied on a more beautiful mountain with such a variety of terrain. But skiing is only half the story. Locals and expats alike make for a vibrant crowd, and I couldn't get enough of it. On my last night, I finally gave in to the culinary cliché and ordered a cheese fondue with black truffles at , a fairy-style wooden restaurant accessible only by foot or snowcat. I couldn't think of a better way to say goodbye to Verbier. is the closest airport. From there, you can hire a car or take the train to Le Chable, then the . The village discourages visitors from arriving in their own cars. There are very few parking garages, and they are hidden from view, carved into the mountain. Better still, heli in. 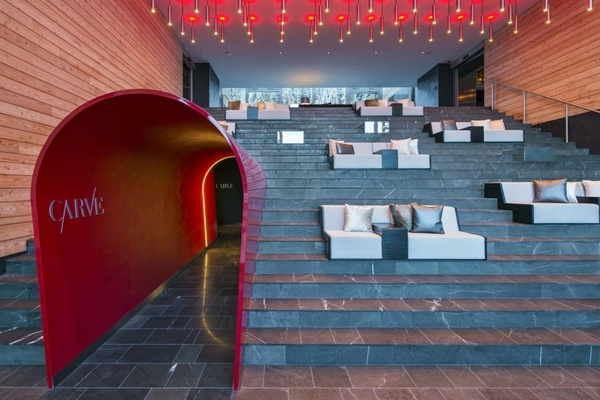 Entrance to the W Verbier. 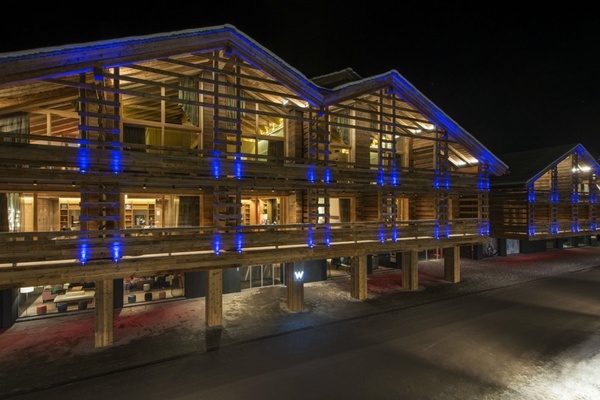 All hotel photos courtesy of W Verbier. 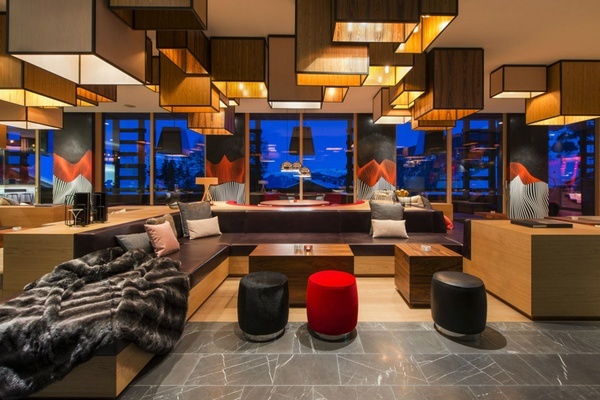 The Living Room at W Verbier. The terrace off the Living Room. is the youngest lodge in town, with 123 rooms, including an that comes with a personal DJ. If Verbier is too pricey, the nearby village of Le Châble is a brand-new cable car away and has lots of budget lodging options. and , both at W Verbier, by , introduced the "pica-pica" concept to the valley and are lovely fresh alternatives to the local classics. 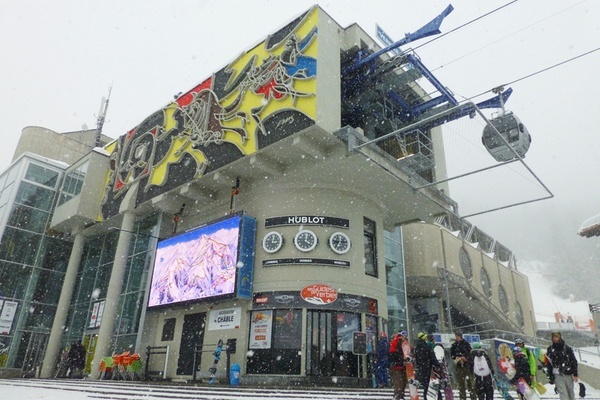 is the best option on the slopes, from salads and pizza to escargots. Everything is great. in town is a charming place above a cheese store, ideal for gorging on savory and sweet crepes on a white-out day. 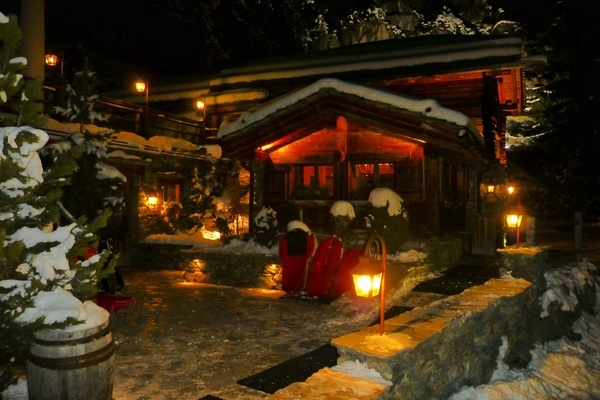 is the most charming place in Verbier. They serve incredible fondues and duck. It's a must. Walking back down to the village is half as fun as sledding. Carve entrance. Photo: Courtesy of W Verbier. Everybody eventually ends up at , but for variety's sake, don't miss and . The BBC reports that 24 people have died in avalanches since Christmas 2013 in France and Switzerland. If you want to try off-piste skiing, make sure you are equipped with an air vest and that you stay on the monitored trails. Verbier's main road is populated with ski shops and ski schools. My favorites are for rentals and for lessons. Their one-on-one technique really works. is a great resource for events, accommodations, shops, and services. is a designer and writer living in New York. She travels for the geography and to learn different ways of life across species.